We’re delighted to announce our first partnership outside of London to help doctors and nurses break new ground in the NHS’s use of digital technology. Streams is our secure mobile app that helps doctors and nurses give faster urgent care to patients showing signs of deterioration by giving them the right information more quickly. Over the next five years, we’ll be rolling it out at Taunton and Somerset NHS Foundation Trust as part of a new partnership. You can find out more on the trust’s website. Our collaboration with Taunton and Somerset follows on from our work with Imperial College Healthcare NHS Trust and the Royal Free NHS Foundation Trust. Nurses already using Streams at the Royal Free tell us that the app is saving them up to two hours a day, allowing them to redirect valuable time back into targeted patient care. Where some current systems can take hours, Streams uses ‘breaking news’ style alerts to notify clinicians within seconds when a test results indicates that one of their patients shows signs of becoming ill. Once they have received an alert, they can use the app to view important test results and communicate securely with their colleagues, to ensure their patients get the right treatment as quickly as possible. At Musgrove Park Hospital, part of Taunton and Somerset NHS Foundation Trust, these features will alert doctors and nurses to a potential deterioration in their patients’ vital signs that could indicate a serious problem. We believe that by making it as quick and easy as possible for clinicians to intervene if something is wrong, we’ll be able to improve patient safety across the hospital. 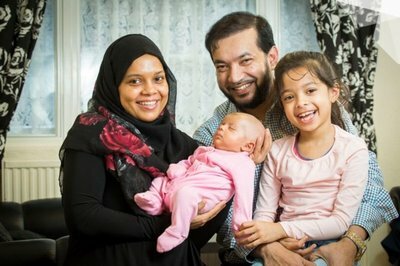 Streams has already had a promising impact for both patients and clinicians at our existing partner sites, and has been credited with helping deliver faster care to patients who become critically ill. One patient who has benefited from Streams at the Royal Free was Afia Ahmed, who received quick treatment by doctors who were alerted to her deterioration when she became seriously ill after giving birth. Netty Messenger, a patient and volunteer at Musgrove Park Hospital, welcomed the trust’s progress towards mobile working: “This is a great idea. I do banking and shopping online and get my prescriptions online, but hospitals still seem to have mountains of paper. It would be much better to have all the patient’s information in one place in an app like this. Tom Edwards, a consultant surgeon at the trust, said: “Fast access to information about patients is absolutely crucial for our doctors, nurses, and other clinical staff. As one of the NHS’s 16 global digital exemplar acute trusts, Taunton and Somerset aims to be one of the most innovative hospital trusts in the NHS. Over the next five years, we’ll be working with the trust and their long-term partner in the digital exemplar programme, IMS MAXIMS, to roll out this cutting-edge technology for a range of medical conditions where early intervention can make all the difference. As in all our Streams partnerships, we’re putting patients at the heart of this work. 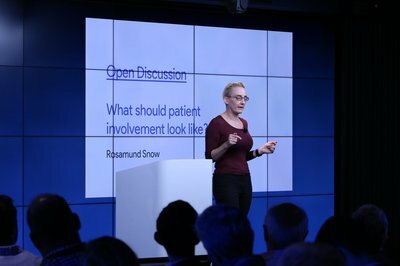 In addition to their regular forums for updating patients and patient governors on their innovative work, over the coming weeks the trust will be hosting workshops, displays and open day events so that staff, patients and the public can see how the app works, what it will mean for patients, and how it might be developed in future. In addition, members of the DeepMind team will be working alongside Taunton staff to engage patients, giving people an opportunity to ask questions about Streams and any other aspect of our work. These events will take place before any patient data is processed by DeepMind. All patient data will be stored to world-leading standards of security and encryption in a facility in England, separated at all times from any other systems.